We've discussed briefly before that belly shape can tell you a lot about the position of your baby before birth. Now let's get into specifics about fetal position, how it can influence labor and birth, and why it is so relevant for women of size in particular. The classic big round "basketball belly" usually means that the baby is anterior. The back of the baby's head ("occiput") is towards the mom's front (which is why the position is called Occiput Anterior or OA), and the baby's eyes are looking towards the mama's back. Look at the picture below and notice that the mother's belly looks big and well-rounded. This is because it is following the curve of the baby's back (and later, when the baby's head engages, its bottom). Generally speaking, occiput anterior is the ideal position for birth. As long as the baby's head is lined up well, there are no arms/hands in the way, and it tucks its chin, chances are that the birth of an anterior baby will progress smoothly, especially if labor is allowed to start spontaneously. Obviously there are exceptions, but research supports that anterior babies have more normal, uncomplicated labors and vaginal births than other positions. A lumpy, bumpy, not very noticeable belly (especially one with a curved-in spot around or near your belly button) often means that the baby is posterior. Look at the picture below and notice how the belly is not as rounded and has a "dip" below the belly button. 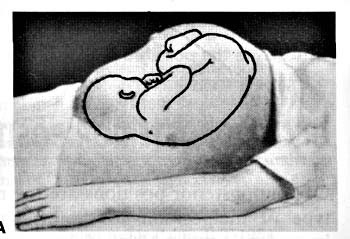 In this position, the back of the baby's head (occiput) is towards the mother's back, so the position is called Occiput Posterior or OP, but most people think of it as the baby facing up, towards mama's belly ("stargazing"). This is usually a much harder position for birth because the diameter of the baby's head in OP is larger and doesn't slip through as easily, and because pressure on the cervix tends to be uneven and so labor progresses more slowly. Go back and compare the two pictures above again. Notice again the difference in the shape of the mother's belly. The anterior baby belly is more rounded, while the posterior baby belly is more lumpy and bumpy and has a concave area just below the belly button. There are other differences between an anterior and posterior baby too. These include where the mother feels the baby's movements most strongly, how "pregnant" she looks, and clinical signs such as where the fetal heartbeats are found, etc. With a posterior baby, often the mom feels lots of weird, fluttery movements in front (the baby's hands and feet). Mom usually feels a lot of movement, pretty consistently, and feels it quite strongly. With an anterior baby, most movement is usually felt in the upper right-hand quadrant of the belly (or upper left-hand quadrant sometimes), and while she certainly feels her baby's kicks and movements, the feeling may not be as strong or as constant as with a posterior baby. With a posterior baby, people often comment the mom doesn't "look" very pregnant. The belly is not as rounded and doesn't stick out nearly as much. With an anterior baby, the mom looks much more pregnant. She usually has a more rounded "basketball" belly, and it sticks out amazingly far, like she is ready to go into labor at any minute. The mother can have the same size baby but look totally different day to day if baby shifts position, and will look a lot less pregnant when baby is posterior than when baby is anterior. Clinically, there are a few other signs as well. With a posterior baby, fetal heart tones are usually more difficult to locate because the baby's back is away from the front of mom's belly. Clinicians usually have to search for the heart tones for a while before they find them and the tones may appear and disappear with even small shifts in the baby's position. With an anterior baby, fetal heart tones are more easily located because the baby's back is up against the mom's belly. Heart tones are most typically found in the lower left-hand belly area, and they usually stay audible pretty well, even as the baby shifts a bit. Now, please note....fetal position is not that important until near term. Babies need to exercise like anyone else, and they will flip and turn and rotate and surf all through pregnancy until near term when they get too big to do so much gyrating. So before close to term, fetal position is not really something to be all that concerned about. Babies flip around a lot and it's no big deal. However, if near term (getting near 37+ weeks), you consistently don't "look" pregnant, you tend to feel baby's movement all up front, you tend to have a concave belly around the belly button, and your birth attendant consistently has a difficult time finding the baby's heartbeat (and doesn't usually find it on the lower left-hand side of your belly).....you may have a persistently posterior baby. If so, it may behoove you to see if you can influence your baby's position before labor. More on that later. Although babies do shift their positions a lot in pregnancy and labor and it's important not to obsess too much about fetal position, a baby that consistently stays in a posterior position can be a cause for concern. 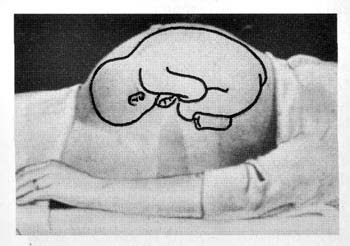 Thus a persistent posterior fetal position can be a cause for concern late in pregnancy, and awareness of fetal position may be important. Older research (from the 50s, 60s, and 70s, when they paid more attention to fetal position), also sometimes noted a higher rate of malpositions (especially posterior) in "obese" women. Anecdotally, my own birth stories and the birth stories of many fat women I've received over the years for my website seems to support the idea of a higher rate of malpositions as well. This may be one reason (among many) why our cesarean rate is higher (especially for "CPD" or babies that don't "fit" well). More on how fetal position affects labor in the next post, and later, what you can do to try and encourage good fetal position before and during labor. This was a really informative post and clarified something for me I'd been wondering about. I'm pretty sure my son was persistantly posterior and I ended up with a 22 hour, extremely painful labour that ended in a c-section. We also did morphine for pain and pitocin to speed things up (but it sure didnt' work!). My eldest was posterior, or as we called it "sunnyside up". He was also big, 10lb, 9oz. My labor was long and I ended up with a C, he'd gotten stuck at position 0 and just wouldn't budgefrom there. We tried pitocin for about twelve hours I think. Just couldn't get him out. I wish I'd known this data back then; I was always getting comments that I couldn't be that far along; and we always attributed it to my wide hips. Plus I had a consistent pain just under my left lower ribs, like a bruise almost. Yes, thank you for this post. It had never occurred to me that there could be that much difference based on how the baby was positioned. And the kick patterns too! I'm not very good at "name that bump" yet, and it means I don't have to wait for my midwives to point stuff out to me at the next appointment. My first baby was posterior until I got to the first birth center. It was all back pain--nothing to do with my belly. I had been in labor for close to 20 hours (not too bad, thankfully), but once I felt her slip, and felt the first belly contraction, it went quickly! I love your site and share it with all of the well-rounded mamas I know. I have a question. My belly generally fits the anterior position description, except that the part of my belly that sticks out most is the lower part, not the upper part as in the picture that was shown. Thoughts? So cool to see this in pictures! Now I think that my daughter may have been posterior, until I went into labor. I carried like I had swallowed a "wedge pillow" and occasionally could see her feet pushing up on my belly. However, when my water broke before labor began, I ran to the bathroom to sit on the toilet until the deluge stopped. As I sat, I could feel her wiggle and turn herself around, and she was born anterior, easily. However, I never thought about her being posterior prior to my water breaking. I have had 2 surgeries thru my belly button, and have alot of scar tissue in my abdomen around my belly button. I wonder if this kept her in a posterior position until my water broke? What do you think? My daughter was posterior. Looking at that photo, I said, "Oooh!" My belly looked just like that and I never looked as far along as I actually was until the latter weeks (35+). And yes, it was a difficult birth was back pain and a vacuum. This post is great!! At 33 weeks it sounds like my baby is a classic example of being in a posterior position. I've been asking my doctor about it and she just joked about my practically non existing bump and told me not to worry until I was at 37 weeks. It's nice to have a little insight on what's possibly going on! My son was turned the wrong way and the nurses had me rock for an hour or two (I think - time was a mystery during labor) and he turned! Awesome trick! You still have lots of time for that baby to turn; I wouldn't get too upset about it yet. Babies move around a lot near the end of pregnancy. They'll switch many times between now and the end of pregnancy. That said, there are a number of things you can do to encourage a posterior baby to turn anterior as you get nearer to term. Seeing a good pregnancy chiropractor (who knows the Webster Technique) was key for me personally. If you are really anxious you might want to consider that possibility. I have a whole list of ideas on my main website, www.plus-size-pregnancy.org, in the Malpositions FAQs there. It's also good to be sure your provider is trained in the technique to manually turn a posterior baby during labor, which has shown GREAT results in a number of recent studies. Don't panic at this point, because it's early still, but if you'd like to be proactive, start seeing a pregnancy chiropractor and spending time on hands/knees. Then also read up about other techniques on my website. Best wishes to you! Rae, obviously you haven't read my site very closely if that bothers you. Look at the section in the menu above titled "Terminology" for more explanation. It discusses the debate over what words to use to describe weight and size ("obese" or "fat" or "overweight" or all the various euphemism alternatives) and why I choose the words I do. I do so with great thought and care. "Fat" is not a bad word or a judgment, it's simply a description of size. I'm sorry you can't yet hear it as such. Read more information about it before you dismiss such usage out of hand. Even if it's not the term you would choose, hopefully you'll understand why some of us do choose it. And then maybe hearing it won't make you automatically discredit everything that's gone before it. I am certainly NOT fat, am 39W, 5 days and have an OP positioned baby... I am still exercising daily and in fact have lost weight in the last week or so.... (of the small amount I have put on during my pregnancy). Unsure how accurate comments regarding larger ladies having a predisposition for OP positioned babies is?? I have a lot of movement daily and I am hoping she will roll back the right way when the time comes... Good luck everyone out there! Haraslou, there is some suggestion in research that larger women may have a higher rate of OP babies, but that research needs to be confirmed by other research (which no one is doing at this point). But many larger women do NOT have OP babies, and many smaller women DO. There's certainly not a 1:1 correlation. Most babies will rotate to OA during labor....but not all will, and those tend to be longer, harder labors. It helps to have a provider who knows how to manually turn an OP baby, as this really improves vaginal birth rates. If not, a good pregnancy chiropractor can help align the pelvis, which helps many cases of OP babies rotate OA. What an informative article! You answered so many of my questions I have been wondering about for months now. 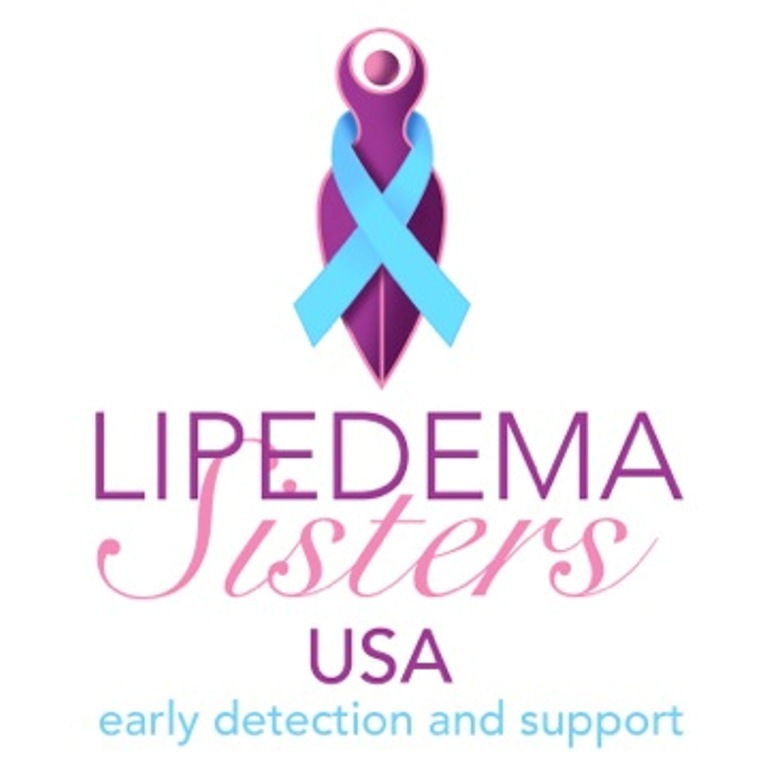 This is my 4th pregnancy and right from the start of feeling movements I knew there was something different than the others. All my other babies had been anterior. But with this one, who also has the placenta on the posterior side, I could feel so much more movements all over the front the last few months. I am 37 weeks now and baby is mostly posterior. It has turned sideways a few times too. It still moves alot though, so I am not too worried. I am also showing smaller and my babies have been in the 8lb 6oz to 10lb 4oz range. So I was starting to wonder if this baby is in fact smaller, when my gut tells me the baby is big like the others. I am planning another homebirth, so it would be nice if this baby turned anterior for labour. From the article seems very likely that mine's posterior at almost 33 weeks. Hoping that she'll come around soon and be anterior! I was very lucky birthing my 2nd child who had remained posterior through the whole pregnancy, and did not have any intention to turn during labour. She never engaged until labour had started. I had no belly pain what so ever, all my labouring pains where in my lower back, pubic bone and down my legs, Completely different to my 1st birth experience. Thankfully she was born at 39weeks, after a super fast labour, completely 100% natural, nothing but a slight graze for me and a slight bruised nose for her. She was born 7lbs 7oz. It appears i have another posterior baby, Im hoping for another great birth experience... Though after 2 girls im having a boy, and after 2 natural spontaneous fast births im being induced due to risk of really fast birth. Not every "sunnyside up" baby will have complications, Im not a big girl (size 8) i don't have wide hips, im just average and i somehow got her out without an issue. stay positive! Also suggest birthing on all 4's and not on your back, it helped a lot. Sarah, very true. I have known people who have had uneventful births with posterior babies. It doesn't have to be a recipe for a difficult birth. But I have also known many (including me) who have had very difficult births (often resulting in cs) with posterior babies. There are so many variables, including size of baby, pelvic shape, relative position of baby's head (tilted, upright etc. 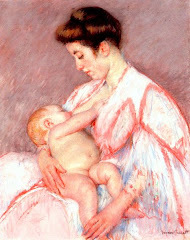 ), whether the mother is able to be mobile and use alternate birth positions (like you said, all fours is great), etc. Enough people have difficulty with posterior babies that increased awareness of OP position and ways to handle it proactively is a good thing to know. But it's not an automatic sentence for problems either. Hope you have another wonderful and easy birth! I am 30 weeks pregnant. And it seems my baby is anterior.my concern is that every elderly women I see keeps telling me that I will give birth anytime.my baby bump is quiet big and low.should I be concerned? Thank you for posting this article. I am currently 28 weeks and ive had so many emotional moments due to my odd shaped belly. Pre pregnancy i had a lower belly, so i thought that was why my belly looks the way it does. Luckily people thought my shape was due to a pant line (as if they were tight fitting). I still get emotional about it but now that i know its not just me makes me feel better. (i even googled "odd pregnancy bellies" and nothing popped up so that made me so upset.) My husband and i went to our child birth class last week and i do have to say, i was completely jealous that everyone else's bellies were perfect and round. So, thanks for putting my mind at ease! I'm glad to have found this article. I am pregnant with my third child, and they all have stayed stubbornly sideways or posterior. My OB suggested that the shape of the uterus can also contribute to fetal position, so although there are plenty of lifestyle choices to be made to improve fetal position, sometimes circumstances may be stacked against you. My labors were long, extremely painful, and both ended up as c-sections. I wish people who lament the rise of c-section rates would consider just how traumatic birth can be when you have some serious factors working against you. I labored for almost fifty hours with my first. I think I may have lost my mind at the end, since I have gotten pregnant twice more since then! Anonymous, please read up on "in utero constraint," which is when the pelvis and back are out of alignment which then pulls on the ligaments that support the uterus and stress it, making it difficult for the baby to be in the easiest position for birth. If you align the pelvis and release the tension in those ligaments, it can make it easier for the baby to be well-positioned for an easier birth. It's not a guarantee, mind, but many women who have had long protracted labors have found relief in future pregnancies with good chiropractic care. I totally hear you that when labor is long and protracted, a c-section can be a total relief. You don't have to feel bad about that....heavens, no! I've had 2 c-sections for badly-positioned babies so I totally get that. I labored for 20 hours with my first (2+ hours pushing) then a c/s, 12 hours with my second (5 hours of very painful pushing). although I disliked my c-sections, I was happy not to have to continue at that point. Don't think you are "supposed" to feel bad about them! You feel about them however you feel about them. But I do let people know that after I got chiropractic care with my third, I pushed him out in 12 *MINUTES*. With my fourth, who was even bigger than my first two, I only pushed for 24 minutes. Fetal position and maternal pelvis alignment makes a tremendous difference. Just because you had poorly positioned babies and long labors in the past doesn't mean you will automatically have them like that every time. No one could blame you if you choose a planned c-section this time. If you are, don't feel criticized by me. I get why you might do so. That's not what protesting the rise in c-sections is about....it's about protesting the rise in *unnecessary* cesareans that are being done for dubious indications, and the risk that is imposed on women as a result. Choose another c-section if you want or need to. That's cool. But if vaginal birth/VBAC is something you are interested in, then consider a pregnancy chiropractor...someone who knows the Webster Technique or the Bagnell Technique to align the pelvis and release the ligaments. Heck, even if you are sure about having a cesarean, consider a pregnancy chiropractor just to be more comfortable! I can't tell you how much better I felt after having seen the chiropractor! Blessings on you and your pregnancy whatever you choose. Delighted to find an article that finally explains the position my baby is in. It's brilliantly informative. I've been looking all over for information about position and feeling movement. The past few weeks I kept feeling her legs kick up right by my liver. Or I'd see her little feet inching across my belly. I'm due tomorrow and for a couple days now I didn't feel her legs kicking me. I still feel her moving but no strong distinct kicks so I was getting a little worried. After reading this, I took out my stethoscope and her heartbeat is right in the middle of my lower abdomen. Now hopefully she stays this way and comes out ASAP! Keep in mind babies move from OP to OA in the hours or even minutes leading up to birth. A good nurse or midwife will be able to determine fetal position and always have a bag of tricks handy to help turn baby when you start having back labor. It's fun to know your baby's position, but not something you need to worry about. We like to see the baby head town at 37-38 weeks, but even then there are tricks to the trade! Rule #1, don't stress! Stress makes for a longer less comfortable labor than baby's position! Hi i am 34 plus weeks pregnant and my midwife told me that my baby is in a posterior postion but befor that my baby was breach up to 32 weeks so it did turn but in a posterior postion i am now worried because she said that if baby dosent turn i will have a very long and painfull labour wich i dont think i can handel again given my first born labour lasted ninteen hours and 55 minutes with row expentions sicotect pitcion and a whold list of things which resulted in me fainting every time i had a contraction and losing alot of blood it also resulted in my baby heart to stop beating and going in to sever detress but yet still they did not do a c section i ended up with a epzotomy and baby staying in nicu for four days so this is why i am very worried about my baby position. Consider seeing a Pregnancy (Pediatric) Chiropractor to optimize the baby's position. Thanks for this information, I guess my first pregnancy was posterior and that's why I ended up having CS after 24hrs painful labour. I am now 23weeks and feeling a lot of move all around my tummy, from up to down then both sides of tummy. Please when should I really feel concerned as I don't want another CS.